The Triple Drawer Cabinet by Saber is ideal for the serious outdoor grilling and entertaining enthusiast. It provides ample space for every possible utensil or accessory you may need and keeps it conveniently near. Spatula? Tongs? Basting Brush? Lemon Zester? There is room for all of it. 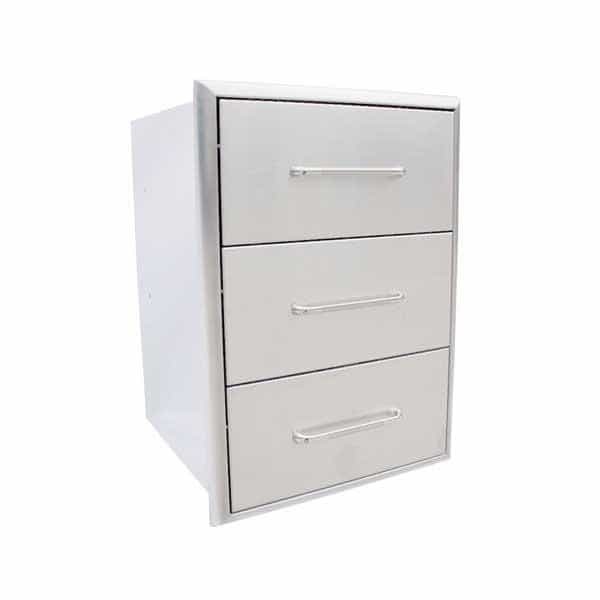 The Triple Drawer Cabinet is constructed of long-lasting 304 stainless steel and is fully enclosed to provide all weather protection. Heavy-duty glides allow for easy drawer maneuverability.